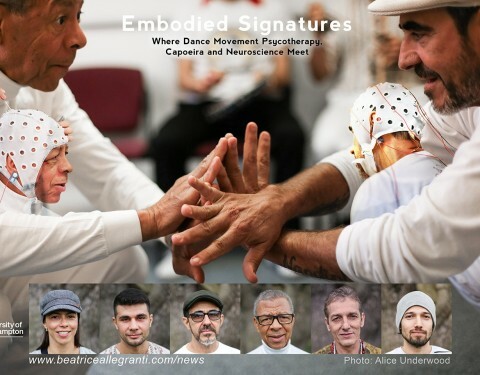 Embodied Signatures is an innovative neurofeminist project combining (for the first time) capoeira, dance movement psychotherapy and neuroscience. 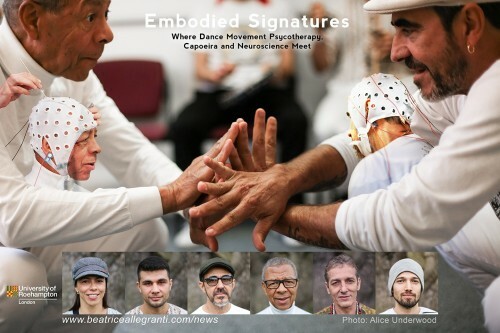 The first publication emerging from the research will be available soon: Embodied Signatures in Capoeira: A Neurofeminist Pathway Towards Psychosocial Change by Beatrice Allegranti & Jonathan Silas. A short film about the research will be available here September 2017.